HOST A HIVE — Gaiser Bee Co.
WANT TO HELP SAVE THE BEES? Have you heard that the honeybees are in danger and you want to help? Hosting a hive is the perfect way! In the Spring we rescue honeybee colonies throughout the city, start new hives from packages and even split existing hives so we can carry on their strong genetic traits. As a Host, you will join us for our beginner beekeeping class to give you a better idea of how we will care for your colony come spring. 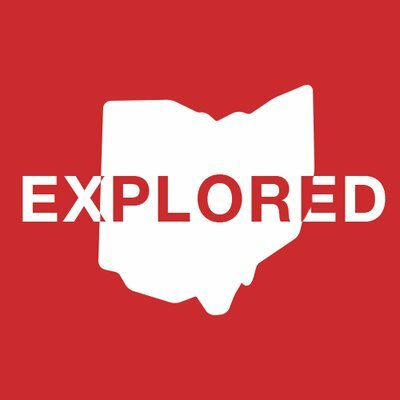 Classes begin in January and go through April. 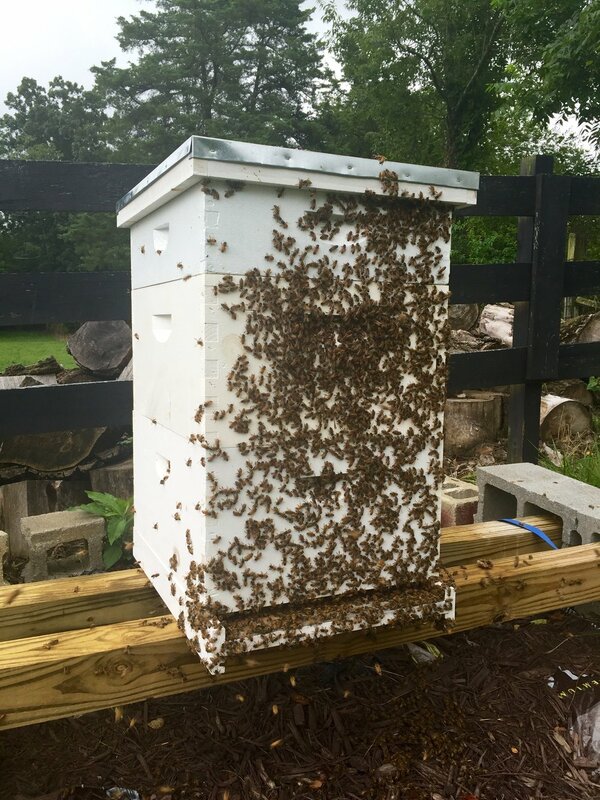 Because the beekeeping season here in Ohio typically begins around the end of April from new colonies, that is when we end our classes and welcome our new hives. Our Host A Hive program helps cover the cost of equipment that is needed for these colonies to survive. So as a host, you are providing these bees a place to live and increasing the population within our community. As we go through the season we will keep you up to date on their progress through our Host A Hive blog. Then at the end of October, you will receive 10 lbs of honey with custom labels as our way of saying thank you. Decide that you are ready to help our community! Email us any questions you have, we’d be happy to answer them. Tell everyone how awesome you are because your helping save the bees. ** Class schedule will be posted the first week of January. You will receive an email with a link to sign up. Please note that this is LIMITED. Once we are sold out, that it is for the year. Classes will begin in January and go throughout April. We offer classes for individuals, field trips, scouts, families, etc. We can make arrangements for classes so please contact us before hand. Do we get to customize the hive? YES! This is our favorite part! We encourage you to custom paint these hives and name them. We believe that naming them makes them stronger ... and gives our apiary so much personality. Where does the hive stay? 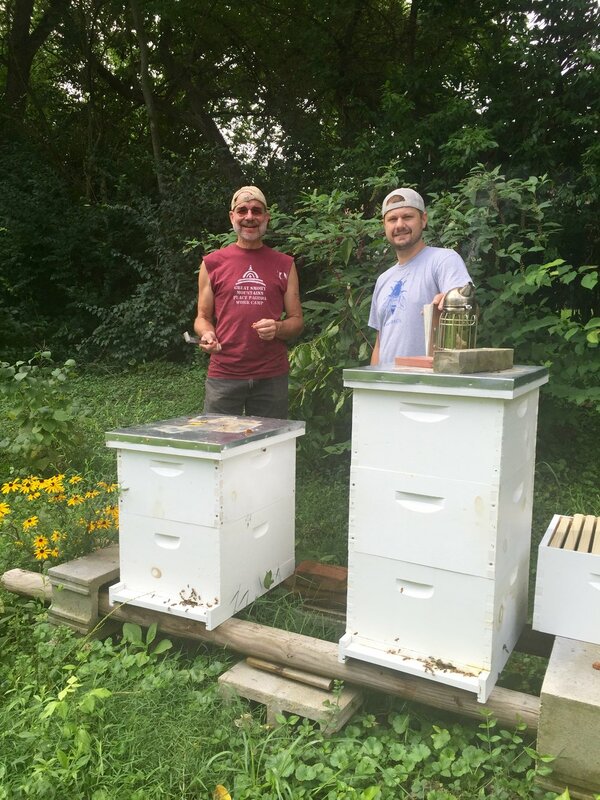 The hive live in our apiary at Gaiser Urban Farm located at 3402 Kleeman Road. Cory and Krystle Gaiser will be your hives keepers. Do I have to do anything to the hive? Nothing at all but you are welcome to visit during inspections. What if I want it at my house? Unfortunately we no longer do this. For the health of the bees we keep them in our apiary to keep a close eye on them. Do we get honey and is it from your hive? YES! The sweet reward of hosting is 10 lbs of honey in October in the form of 10/ 1 lb plastic bottles. These will come with custom labels with your family/group/school name on them. This honey could come from your hive but depends on their population. We want them to have the best chances of survival over winter so if they don't have extra we will provide you honey from a strong colony in our apiary. Application will be posted in December 2018 for the 2019 season. These are limited, so once we are sold out the program is closed until 2020 sign up. Hosting a hive is a great way to help the earth and increase the honey bee population in our community while learning all about honey bees. It also helps increase pollinators while doing your part to save the bees and mother nature! Are you hosting a hive? CLick here Spy on your hive in our host a hive blog. Keeping honey bees will provide a big boost in pollination for your garden, local fruit trees and flowers. The queens abdomen is typically twice as long a the average worker bee with the life span of up to 5 years. Honey bees are a very docile insects and are unlikely to sting when left alone. Honey bees produce wax from their abdomen. A strong established hive can produce an average of 50-100 lbs. in a season.